Financial Spreads, the London based spread betting and contracts for difference company, now offers clients access to director dealing information provided by Digital Look. Sector e.g. banks, oil and gas producers, mining etc. Financial Spreads clients can access the data for free and, according to Adam Jepsen, spokesman for Financial Spreads, the reports can be viewed in a number of convenient formats. "Understandably, a lot of investors think that the people who are best equipped to value a company are the ones who run it. Therefore, the Director Deals can offer a signal as to the future prospects of the company. "The Director Deals data can be viewed in a number of ways, it defaults to a table but the market bar charts allow investors to see which sectors are being bought and sold the most. "The heat maps also provide a particularly quick and convenient view of the market moves. 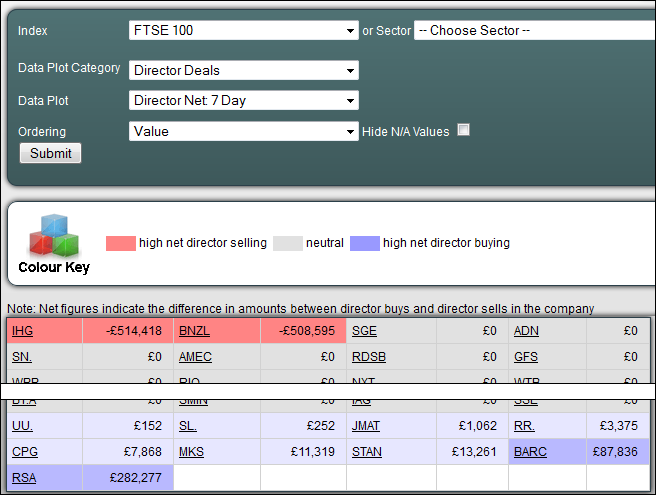 For example, with a few mouse clicks, investors can see a heat map showing the 'net Director Deals over the last 7 days for companies in the FTSE 100'. The heat map highlights which firms are being bought and sold the most." The Director Deals analysis is provided by a third party which is completely independent from Financial Spreads and should not be taken as investment advice. 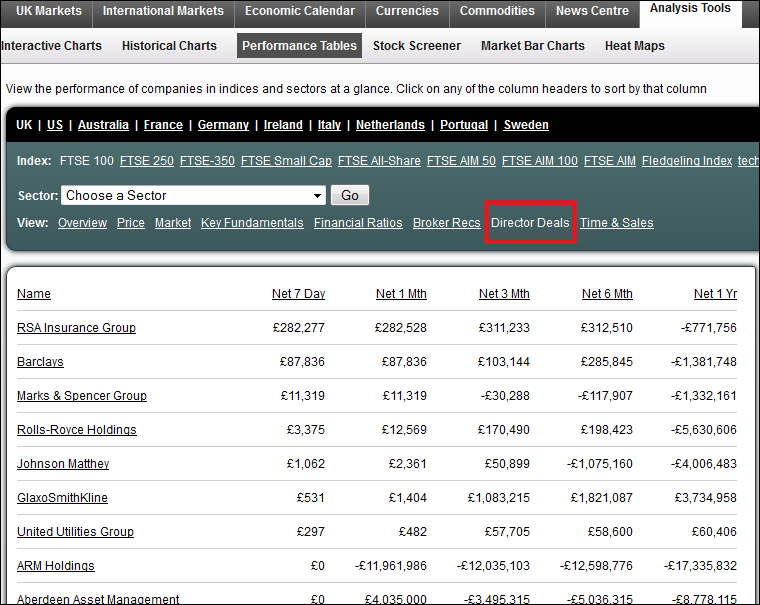 More details, including how to access the Director Deals, can be found on FinancialSpreads.com. Financial Spreads provides spread betting and CFD trading across a broad range of shares, forex, stock market indices, treasuries and commodities. There are advanced charts for every market and many popular markets like EUR/USD, the UK 100 index, gold and US crude oil can be traded 24 hours a day, from Sunday evening to Friday evening.